For the first 38 minutes, it looked like Auburn was still sipping on its SEC Tournament Kool-Aid, and rightfully so. The Tigers held an 8-point lead with 2 minutes left against No. 12 seed New Mexico State. It looked like they avoided the ever-popular 12-5 upset and their fifth game in 9 days was also going to be their fifth win in 9 days. 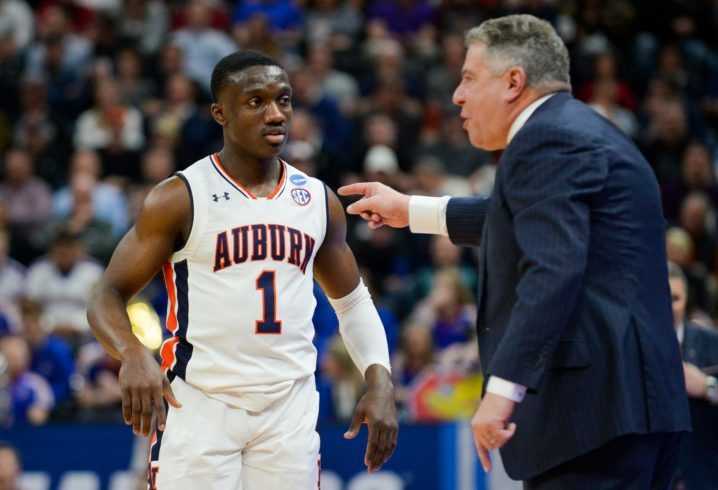 But in the final 2 minutes, Auburn nearly choked on its own Kool-Aid and watched its NCAA Tournament hopes suffocate in a matter of 120 seconds. Had the Tigers lost, it would have been one of the great collapses in college basketball history. That didn’t happen. New Mexico State’s desire to pass up a wide open game-tying layup for a 3-point attempt proved to be the most baffling move of the day — even though Auburn bailed out the bad decision by fouling the shooter. 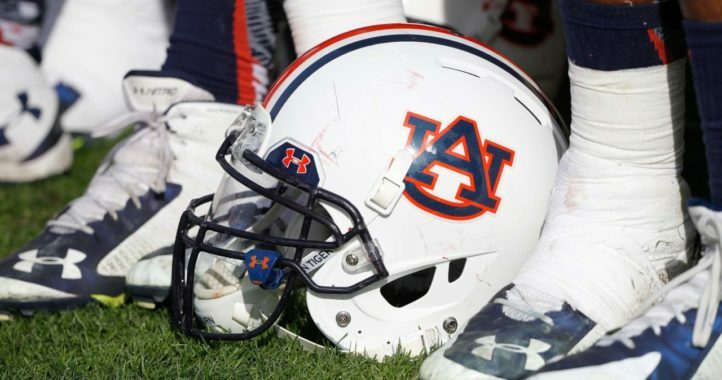 That was the latest head-scratching decision after head-scratching decision for Auburn. How bad was it? Let’s just say somewhere in between Jared Harper’s offensive foul and that airball-ed last-second 3-point attempt from New Mexico, Bruce Pearl turned a new shade of red (he said afterward that his heartbeat wasn’t beating and that he was probably “legally dead” at that point). One can assume that Thursday’s finish won’t be on Pearl’s career highlight reel. A deer in the headlights looked more prepared than Auburn was down the stretch. At least a deer will get spooked and avoid the oncoming vehicle. Auburn did the equivalent of lying down in the center of the road and praying that the oncoming vehicle would zoom right over it. I realize it’s easy for me to say as someone who spent the majority of my day in front of my TV, but my goodness. It was like Pearl’s team experienced a late-game scenario for the first time. You mean that you’re not supposed to throw the ball in the corner when a team is bringing full-court pressure? Auburn panicked on double teams like they were some revolutionary concept. And yeah, they should have called a foul on that Chuma Okeke turnover that tipped off Harper’s hands. That still didn’t excuse Harper fouling immediately in the backcourt to prevent New Mexico State from even attempting a game-tying 3. Had Trevelin Queen made more than 1 of 3 free throws, we’re probably talking about as awful a meltdown as you’ll see. Auburn wrote the handbook on how not to finish a basketball game. Check that. Auburn wrote the bible on how not to finish a basketball game. Offensive fouls, careless passes against the press, fouling shooters, missed front ends of one-and-ones, fouling before trapping, lack of communication on defense, you name it. Auburn did it. If you were playing “NCAA Tournament late-game collapse Bingo,” you won. Part of that is on Pearl and part of that was on his team, which looked like a shell of the group that came into Thursday as winners of 8 straight. The team that shot 3s like they were going out of style was nowhere to be found in the closing minutes. Now obviously the result is all that matters. Auburn 78, New Mexico State 77. If you had a toilet paper roll for every Auburn fan who said the words “survive and advance,” you would have been able to roll Toomer’s Corner a hundred times over. Yes, that is true. They do. 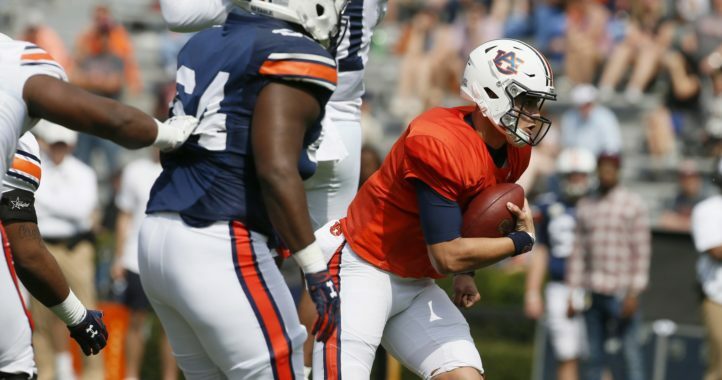 What Auburn experienced Thursday was complete and total madness. Every coach/basketball fan/human being probably watched his team and pulled their hair out. Well, except those who picked New Mexico State to pull the upset. The Aggies did not ultimately kill Auburn’s NCAA Tournament hopes. A better team would have. Maybe that’s Kansas, which Auburn will face in the second round on Saturday. But after the agonizing final minutes Thursday, there was a positive development when the clock hit zero. Pearl does in fact still have a pulse, and so does his team. Somehow. That may turn out to be the game they had to win to get to the sweet 16. They got a tough draw after the 4 games in 4 days. NM state area pretty darn good bball team too. I took them on most of my brackets. Not that it means anything. My brackets are usually toast after round 2. Good game to get behind them and get a days rest. That Kansas game should be a good one. Good luck. Exhale, mark the W and move on. This is what you get with a Bruce-coached team. You have to take the bad with the good, but its maddening at times. Got the “W” though, which is all that matters in March. Should be a fun matchup with Kansas.